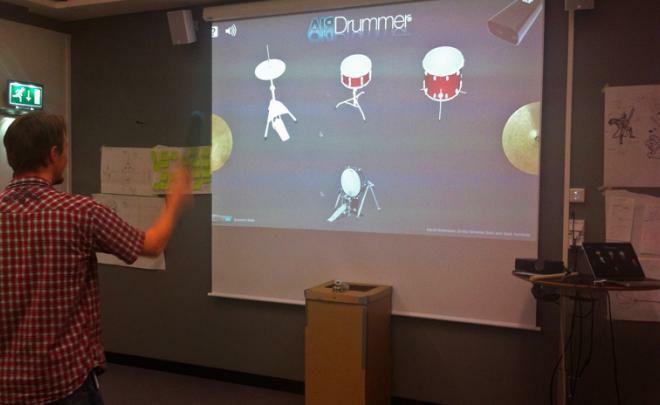 This project aimed to create a virtual drum-set that you can play with a pair of custom made drumsticks. 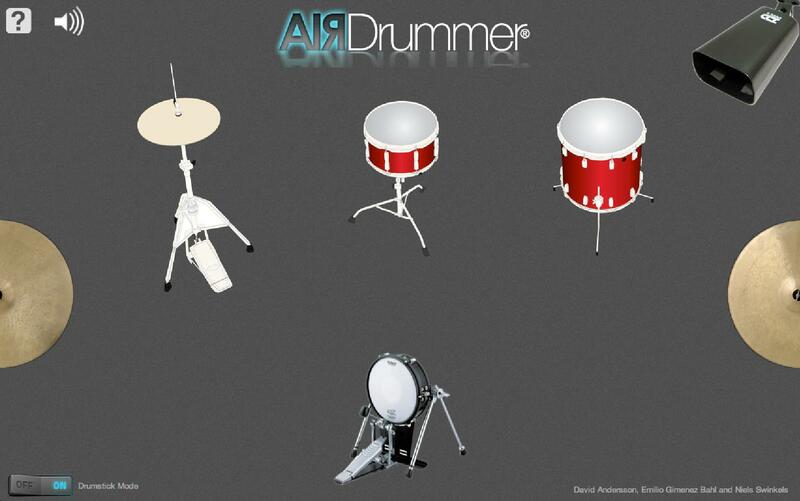 The application shows a drumset. You can play them by flicking custom-made drumsticks while simply pointing at one of the drums. Next to this two foot pedals control the high-hat and bass drum. The system works via IR-LEDs in the drumsticks that flash when the drumstickis flicked, which is seen by a Wii remote. This is then translated in a mouse movement on the screen, that causes drum sounds to be played when the mouse moves over a drum image in the web-based application. The floor pedals are connected via an arduino that sends a signal to the computer when they are pressed. The sticks are activated by a weight that moves up when the stick is flicked, which presses a button. To add a haptic feedback a vibration motor is built in the handle. This project was created together with David Andersson and Emilio Gimenez Bahl for the course Tangible Interaction Design.